It’s common knowledge that a safe working environment goes a long way in ensuring the health and well-being of your employees. It helps improve performance levels and plays a key role in improving organizational productivity, as your staff members can work effectively without the fear of getting sick or injured. One of the key aspects in creating a risk-free workplace is the delivery of high quality safety training. Effective safety training educates employees on the importance of industrial safety and equips them with the knowledge and skills required to follow safety procedures and practices. How can you deliver good safety training to your employees? What does it take to educate your workforce on safety aspects, irrespective of their education level and location, in an interesting manner? You need to go for video-based learning. Let us see why. In many cases, employees feel that safety training is conducted just to fulfill a statutory requirement. There could be a misconception about the training program as being more of an organizational requirement than an important aspect of training. To dispel this notion, you must provide specific instances of how the safety training would benefit the staff, at an individual level. There can be no better way to do this than using videos. One of our clients, a vaccine manufacturing company shows real footage in which laboratory personnel are exposed to severe health risks as a result of not adhering to safety norms while handling live viruses. This has created a deep, subconscious effect on learners who realized that their well-being could be ensured as a result of attending the safety training program. Many a time, staff working in remote locations such as sea-based oil rigs and industrial facilities located in far flung areas need to be trained on safety norms. In most cases, it is not practical to assemble these employees in a classroom to demonstrate safety procedures. Video-based online lessons help overcome this problem, as they can be accessed anytime, anywhere, on any device. One of our clients in the mining sector uses videos to impart training on safety procedures. The company has developed a video-based curriculum, for people working in its Uranium mines in remote areas, which can be accessed conveniently on mobile devices. The initiative went a long way in delivering high-quality safety training to employees. It also addressed another major problem; most workers were illiterate and the video-based curriculum proved effective in training these employees. Many blue-collared workers employed in manufacturing facilities have low levels of education, and as a result, may find it hard to understand the content of “normal” e-learning courses on industrial safety. This problem can be overcome by using learning videos. The highly visual nature of video-based lessons makes them the perfect tool to demonstrate safety procedures. You don’t have to be a college graduate to comprehend the content of a safety training video that shows how to wear Personal Protective Equipment (PPE). Do you? We live in the age of globalization. Companies across the world are moving to new shores, and this has given rise to the need to impart safety training to international staff that speaks several languages. This need can be met by using videos. Videos without audio can be used to break the language barrier to safety training and demonstrate safety procedures to all employees. For example, you can use a video-based lesson to explain how to handle a blow torch safely, using a “mute” video. The steps involved in handling the equipment can be shown to all learners, regardless of the language they speak. Provision of good JIT learning support goes a long way in helping staff members apply the knowledge acquired in safety training programs (or any training program, for that matter). Short videos are the perfect tools to deliver JIT learning support to your employees, as they can be accessed conveniently on mobile devices. A technician working in a nuclear power plant has to fix a problem in the reactor of the plant. He needs to wear respiratory and dermal protective gear to protect him from contamination. The technician watches a 3-minute video that demonstrates the steps involved in using the gear, and then, proceeds to wear the protective equipment. Videos are easy and cost-effective to produce. One of our clients, a power utility firm uses video-based lessons with a high degree of efficacy to impart safety training without burning a hole in its pocket. The company created a series of short videos for its line workers. Each video demonstrates a specific safety procedure to be followed while repairing underground electric cables. 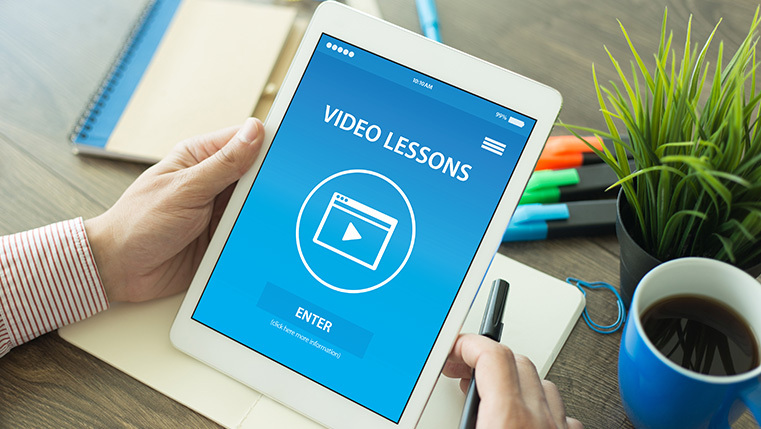 The company created a private playlist of these videos on YouTube, ensuring their learners can access them conveniently, whenever and wherever they want. The video-based safety training initiative proved to be a resounding success. All that was used to shoot these learning videos was an iPhone. It was as simple as that. Good safety training helps you ensure a risk-free place, where employees can work without the fear of injury or sickness. Harness the full potential of videos to impart effective safety training. Animated Safety Videos – Why Do They Make the Winning Difference?